January 1st I started quilting again after a 2 year hiatus. Every year for MLK weekend, my local quilting group has a weekend retreat in upstate NY. I had a few blocks to get ready for our block swap and some projects I wanted to work on so I had plenty to get me started. During the weekend, one of the other quilters mentioned her goal for 2013 was to complete one UFO a month. I thought this was a pretty good goal so I decided to join her. Decided I'm going to try to never use a long arm quilter again. Yup, you read that correctly. After listing out all the projects I had planned for the next 6 months (UFOs & New), there were 13 quilts with most of them at the Full to Queen size range. As many of you may have already figured, this seemed quite cost prohibitive if I had to send them all out. With my hubby's encouragement, I began my quest to finish all my quilts, with all the custom, intricate quilting I had come to love. I read through all my quilting books, bought some more quilting books, spent a lot of time searching online for quilting patterns and started searching for a new, larger sewing machine. The machine search is a a story for another day. Today I wanted to share quilting. My first go free motion quilting is Practice Makes Perfect I. It's not perfect but it is mine. I created it using designs from Leah Day's Free Motion Quilting Project for the blocks. The borders were a mixture of sources and original designs. 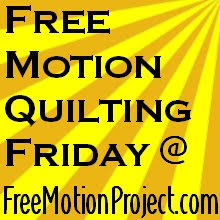 Leah has a wonderful collection of over 365 free motion quilt designs and some great tools in her online quilt shop. Her blocks are arranged in various ways including by difficulty. My goal for Practice Makes Perfect I, was to pick one design from each difficulty level. If you aren't already following her or popping in every once in a while, I highly recommend you do. I also printed a fabric quilt label for the back. I'll be back filling some of the quilts I've finished since the MLK weekend in the coming weeks, as well as sharing my Practice Makes Perfect quilts. Love the practice makes perfect quilt idea. 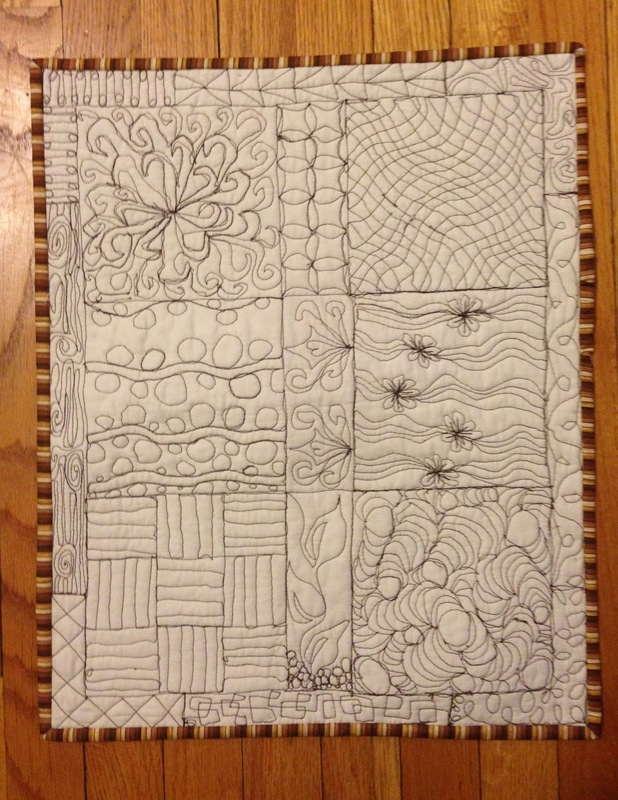 I am getting back into quilting after a hiatus as well, I might do some of these too. 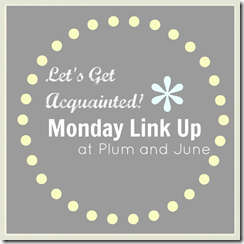 Love your quilting and your goal! I look forward to seeing your other projects. Congratulations on your return to quilting! You are gonna love it!